This Advisor Payment Policy forms part of the User Agreement and is incorporated by reference herein. Capitalized terms not defined herein will have the meanings set forth in the User Agreement and related policies. Psychics.com’s payment responsibilities for Advisor Services you provide are subject to restrictions and limitations. The User who initiates a Transaction with an advisor through the Site is solely responsible for payment of any and all fees for the Transaction. Psychics.com shall not be obligated to pay any Advisor fees for which Psychics.com has not been fully paid by the User or User’s credit card issuer or bank, as applicable. You hereby authorize Psychics.com to collect payments from Users on your behalf for any and all Transactions that you conduct. Psychics.com will credit to your User account the fees collected by Psychics.com less Psychics.com’s connection charges and commissions set forth below, any tax withholdings required by law, and any refunds, discounts, chargebacks and chargeback fees payable by Psychics.com (the “Net Fees”). As an advisor, you may charge Users a price-per-minute fee as part of the listed rate. Psychics.com may collect a percentage of the per minute rate as a connection fee. Psychics.com will retain connection charges for each call in the amount of Psychics.com’s then current connection percentage rate – which is currently 65% of the per minute rate. Psychics.com reserves the right to change the amount of connection percentage retained by Psychics.com at any time. As an advisor, you may charge a fee for responding to the Paid Mail requests that you receive. You must clearly state the fee for responding to Paid Mail in your Mail response. Psychics.com will receive a commission stated in our agreement with you of the Gross Mail Fees. The “Gross Mail Fees” means the fees collected by Psychics.com for each Paid Mail sent from your Advisor address that is accepted by a User. The current Gross Mail Fee for a caller to send a Mail message is $0.25 (twenty-five cents), of which the paid commission is 35% (thirty-five percent). You may increase the rates for mail responses up to $2.00 (two dollars) for mail messages containing only text, and $5.00 (five dollars) for mail containing an attachment,of which the paid commission is 35% (thirty-five percent) of the Gross Mail Fee charges on the message. The Gross Mail Fee for messages sent by You will be paid to your account once the message and fee has been accepted and charged to the caller. As an advisor, you may charge a price-per-minute fee as part of the listed rate for responding to the Paid Chat requests that you receive. Psychics.com may collect a percentage of the per minute rate as a connection fee. Psychics.com will retain connection charges for each call in the amount of Psychics.com’s then current connection percentage rate – which is currently 50% of the per minute rate. 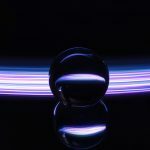 Psychics.com reserves the right to change the amount of connection percentage retained by Psychics.com at any time. Advisors will only turn on availability for web chats when they are able and willing to give a reading through the web chat service. As an advisor, you will be paid for every text message that a caller sends to you. The Fee for a caller to send a Text message is $0.50 (twenty-nine cents), of which the paid commission is 35% (thirty-five percent). You will not be paid for any return messages to the caller sent through the paid chat message box. Advisors will only turn on availability for texting when they are able and willing to give a reading through the texting service. As an advisor, you may charge a fee for products you sell through your profile. Products can include audio recordings, photos, documents, videos, and webcam. You must clearly state the price for each product in your User listing(s) of which the paid commission is 35% (thirty-five percent) of the Gross Product Fees. The “Gross Product Fees” means the fees collected by Psychics.com for each Paid Product sent from your Advisor account that is accepted by a User. You will absorb all costs incurred for charge-back, and bear all risk of non-payment. 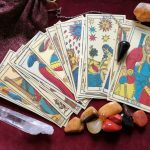 You will indemnify, defend and hold Psychics.com harmless of and from any and all liability associated with products you sell. 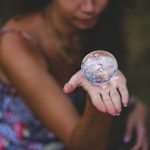 Psychics.com may, at its option, invite you to participate as an advisor in special offerings that may include reduced pricing, promotional rates, custom branding, qualifications verification and/or targeted promotion. You do not have any obligation to accept such invitations, however, if you do accept such an invitation, you agree to be bound by the terms set forth in the invitation in addition to the terms and conditions of the User Agreement and the policies incorporated therein. Psychics.com will distribute Advisor fees to you from your User account. Psychics.com makes payments only in U.S. dollar denominations. If you are enrolled in weekly payments by check, Psychics.com will deduct and retain a fee of Two ($ 2.00) Dollars for each check issued to you. If fees that are due to you for any week are less than Fifty ($ 50.00) dollars, Psychics.com will hold the payment until the amount due to the Advisor at the end of any week is at least Fifty ($ 50.00) dollars. Psychics.com will send fees by check mailed to the address you specify via the U.S. Postal Service weekly on Wednesday, to arrive to You within 3 to 5 business days. Any check that is requested to be cancelled by the advisor and repaid by Psychics.com will incur a $25.00 check cancellation fee to be charged to the advisor balance prior to the account being paid again. You may register to receive fees by direct deposit via ACH if you have a registered U.S. bank account that is eligible for ACH transfers and otherwise meet the direct deposit requirements. If you are enrolled in direct deposit and are eligible to receive funds weekly by ACH, Psychics.com will send fees weekly through ACH to your U.S.-based bank account. Psychics.com reserves the right to terminate a User account’s ability to receive funds daily by ACH at any time without reason or notice. If fees that are due to you for any week are less than Twenty-Five ($ 25.00) dollars, Psychics.com will hold the payment until the amount due to the Advisor at the end of any week is at least Twenty-Five ($ 25.00) dollars. Any ACH that is returned due to incorrect bank or routing information will incur a $2.50 fee to be charged to the advisor account prior to the account being paid out to updated banking information. You can select to receive your payouts through third party payout vendors, currently, Paxum is available as a third party payout vendor. Psychics.com is not responsible for any fees you may incur while using the third party payout vendors. You are solely responsible for (i) all hardware, software and other costs incurred in using the Site, and (ii) determining, collecting, reporting and paying any applicable state and federal sales, income or other taxes. Psychics.com may withhold taxes from amounts issued to Advisors as required by law. Psychics.com reserves the right in its sole discretion to institute a chargeback policy as Psychics.com deems appropriate. Psychics.com reserves the right to withhold issuing payment for your fees without notice on any transaction which in our sole discretion suggests that the User or User’s bank may not fulfill his or her payment obligation. Psychics.com reserves the right to hold funds beyond the normal distribution periods for transactions it deems suspicious to ensure integrity of the funds. Psychics.com reserves the right to close a User account at any time without reason, including, but not limited to, a violation of this Payment Policy, upon notice to the Advisor and payment to the Advisor of any unrestricted funds held in custody. Psychics.com reserves the right to not pay any closed account funds that have been received to an advisor’s account that total less than $20. $20 is the absolute minimum that will be paid out on any account via any payout method. Psychics.com reserves the right to withhold payments from any Advisor account that does not provide accurate Payee Name and matching Social Security Number or Tax ID information within the My Account page. Payee Name and Social Security or Tax ID number are compared to the IRS Name Database to verify valid information as been provided. How much can I charge for webchat? 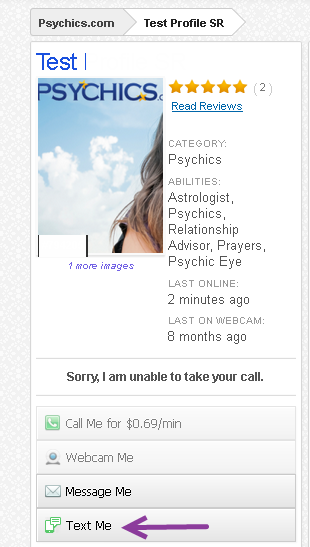 We have made changes to the Web Chat Feature on Psychics.com. When a caller starts a chat with you, you will now receive earnings per minute for your chat instead of each message the caller sends. To set your rate, from the Account Dashboard, choose the profile that you would like to set your rate for then click the Actions drop-down and select Rates from the menu. You will be taken to the Rates page. Set your rate (Price Range is $0.50 – $2.00) then click Save. The paid commision for Web Chats is 50% (fifty percent). You can make yourself available to receive a web chat at any time by toggling your availability at the top of our site. On your profile the caller can select “Realtime web chat” and you will be prompted to accept the chat request with the caller within 60 seconds of the request. Author help.psychicsPosted on November 29, 2018 November 29, 2018 Categories Psychics F.A.Q. How do I setup my payout information? 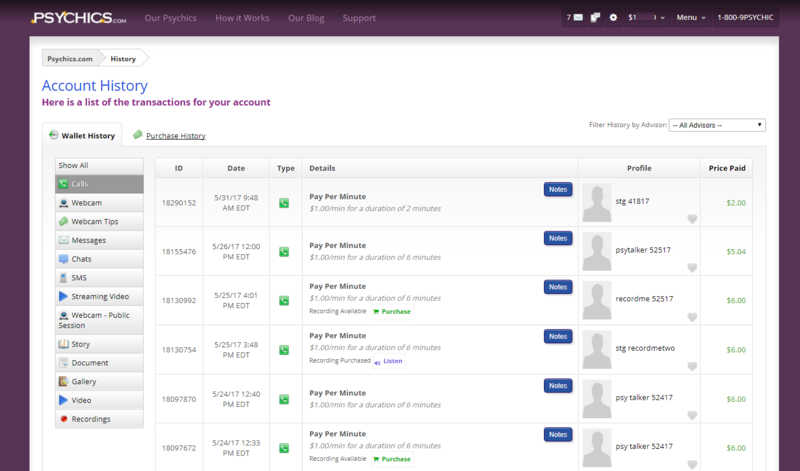 To set up your payout information, go to the main menu and select “my account”. There you can select if you want direct deposit or check and can enter your payout information. For your account security as soon as you enter your payout information and click the Save button at the bottom of the page this section of your account will be locked. If you need to make changes to your payment information you will need to complete and return this document to psychicsupport@psychics.com or via fax (1-215-689-3812) so that we can assist you with updating your information. In order to allow adequate time to process your request, please complete and return the form as soon as possible. Author help.psychicsPosted on July 31, 2018 August 1, 2018 Categories Psychics F.A.Q. What is the difference between my Wallet History and Purchase History? Your “Wallet History” shows all purchases/deductions for your account. Your “Purchase History” shows credit card transactions for phone calls. 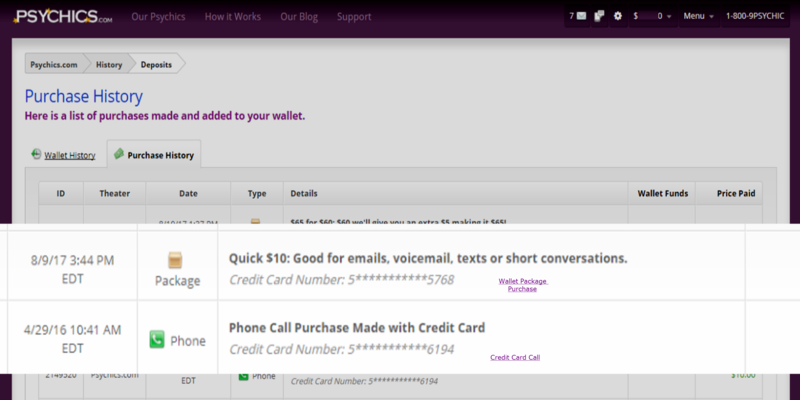 It will also list credit card transactions when you replenish your Wallet funds. You can keep track of all the transactions processed directly to your credit card(s) on file within your Purchase History. From the Main Menu drop down option select “Account History” then select “Purchase History” to review package purchased and calls billed directly to your credit card(s). Ten dollars FREE for every new account! Just provide a valid credit card — we will verify your info but NOT charge your account. To get your first $10 free, after you logon click on the “$” icon on in the navigation bar on the main page. You will get a drop menu. Click on the Add Money button. Choose the “One Time Get your first $10 for FREE!” package and enter your credit card for verification. After successful verification, $10.00 will be added to your wallet. You may see a $1.00 transaction on your online credit card statement. It is an authorization transaction only. This will automatically delete in several days. You are not being billed for the ”One Time Get your first $10 for FREE!” purchase. Enjoy ten dollars to explore all the great features of Psychics.com! Don’t have enough privacy or time for a voice call with your psychic advisor? Why not fire off some texts to get the quick answers you need right now? Now you can text psychics right from your cell phone anytime! 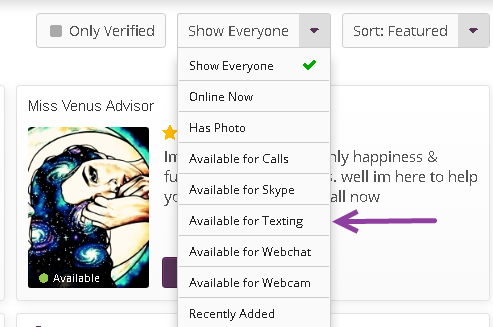 To find psychics who are available for texting, set the filter at the top of the advisor’s listings to show only psychics who are “Available for Texting”. Once you find the perfect psychic to connect with, click the “Text Me” button on their profile. If you have not yet confirmed your number for texting (SMS) you will be prompted to do so. You can follow these instructions. Once your phone number is verified, a dialog box will open where you can confirm that you want to start an SMS conversation with the Advisor. You will then receive a text message to your mobile device after you confirm that you want to start the conversation. You can reply to this message to send a text to the Advisor. Some important things to remember when using the SMS feature on Psychics.com. Your personal telephone number(s) are never seen by Advisors. Your privacy is assured. Advisors can only initiate contact with callers via SMS if the Callers have the SMS feature turned on as available, and in their preferences, they have checked off that Advisors can contact them first by SMS from the “Browse Callers” page. If the caller does not have this preference set, advisors can only send a text message if the caller sends one first. Texting sends from a 10-digit telephone number ending in 8255. It can and will be multiple different numbers since Caller texts to Advisors must come through as a separate text. The number(s) which you receive are not the Advisor’s phone. The number that will also display to Advisor will not be yours. These numbers, which all end in 8255, belong to us and do not represent any other person and/or company. What types of files can I attach to a message? You can attach image or .mp3/.mp4 files as well as recorded voice/audio greeting through the on-site messaging system. If you want to attach an image/multimedia file that has previously been approved for your account, the attachment will be sent immediately; if you attach a new file, the attachment will have to be approved before the Caller can see it. Author help.psychicsPosted on October 19, 2017 October 19, 2017 Categories Psychics F.A.Q. How much can I charge for a message? You can charge a maximum of $10 for on-site Messages sent with or without attachments. Note: If you want to attach an image/multimedia file that has previously been approved for your account, the attachment will be sent immediately; if you attach a new file, the attachment will have to be approved before the Caller can see it.